After an amazing start of the super six round against Ireland, Bangladesh have lost their second encounter of the stage in ICC Women’s World Cup Qualifier to India by 9 wickets. Set a target of 156 to win, India women knocked down the runs in 33.3 overs. Put in to bat first, Bangladesh had a sluggish start as they scored only 14 runs from the first 10 overs, losing couple of wickets. 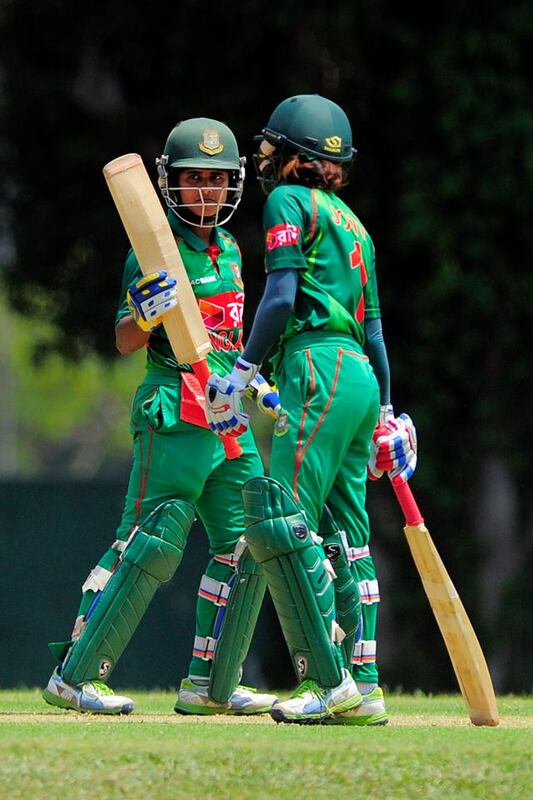 It was then a 62 runs stand between Fargana Hoque and Sharmin Akhter which helped Bangladesh repair the losses. Sharmin departed for 35 but Fargana clinched her 4th ODI fifty which saw her side get past 100 runs mark. Middle orders then chipped in to raise the total to 155/8 after 50 overs. For India, Mansi Joshi claimed 3 wickets for 25 and Devika Vaidya took 2 for 17. In pursuit of the total, India rode on the back of opener Mona Meshram and captain Mithila Raj despite early loss of Deepti Sharma. Meshram was not out on 78 and Mithila on 73 while getting past the finish line with 9 wickets and 99 balls remaining. Bangladesh will face Sri Lanka in their 3rd and final clash of the super six round on Sunday.